Andrews Excavating was a subcontractor to Paul Risk Associates, Inc. and we provided excavation and site improvements for a new Assisted Living Facility for Willow Valley Lakes Retirement Community. 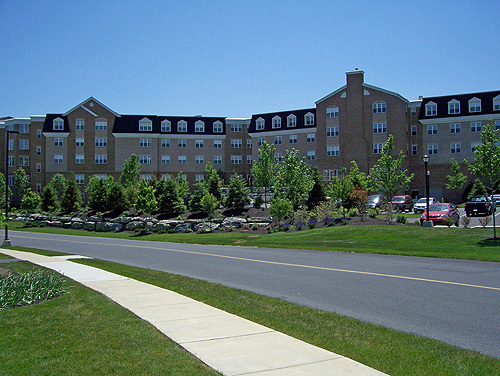 The property was adjacent to the existing retirement community and special care was needed to minimize disruption to the residents. Services provided included erosion control, clearing and grubbing, drilling and blasting, site cuts and fills, sanitary sewer installation, storm sewer installation, waterlines, concrete curbs, paved roadways and parking lots, building excavation, and boulder retaining walls.